Jones-Berry Lumber Co. started out more than a century ago as a lumberyard. We supply a wide variety of lumber from US and Canadian mills, selected to insure consistent high quality each time you make a purchase. Our wide range of supplies includes all you need to build your next project. • Treated lumber, decking and plywood, featuring #1 grade 2x4s and 2x6s, premium decking and below grade rated dimensional lumber, timbers and plywood. We offer a wide range of doors and windows by Andersen™, Tempco™, and Hayfield™. 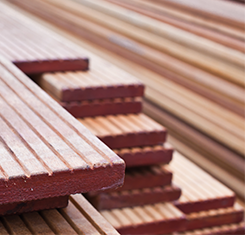 We also provide engineered wood products, including trusses, I-joists, laminated posts, and beams.